I recently posted an article on the steps involved in selling a business. This post will look at the process from the other side of the table - the buyer’s perspective. Much has been written about most of these steps and even their sub-topics. As such, I’m not going to delve into the detail. Buying a business can be a complex, time-consuming and expensive process. To make matters worse various studies show that most acquisitions don't add value. I'm starting on this sombre note to encourage you to proceed with caution when considering the acquisition of a business. That said, acquisitions can be a great way to add value when they are well considered and done for the right reasons. All acquisitions should be aligned to a company's strategy and enable or expedite it. This may sound obvious, but on numerous occasions I've seen acquisitions pursued more because the targets are for sale than because they assist with strategy execution. Ideally, start with your business strategy. Be very clear on what you want to achieve and then only pursue acquisitions as a means of executing the strategy. Is an acquisition your best option? I’ve worked on quite a few transactions where it became apparent that the acquisition was an expensive or complicated way of solving the problem the deal was meant to solve. Could the same result be obtained through a smaller acquisition and a strategic hire, for example? Or through buying / poaching a team and incentivising them to build what the acquisition would have given you? Or entering into a commercial arrangement with the target? etc. This comes back to strategy. Know what you want to achieve and then test whether an acquisition is the best way of achieving it. Throughout the process, keep revisiting your strategy and ensure your transaction team is also clear on the reasons for the transaction. For example, when conducting the due diligence, pay extra attention to the areas of the business which are core to the transaction rationale. When the transaction agreements are being negotiated, add in extra clauses or warranties for these areas. It may make sense to appoint a project manager with M&A experience to plan and manage the process, depending on the size and complexity of the transaction. Larger transactions typically have a lot of moving parts and dependencies, making a project manager very necessary. These skills won’t always reside in your organisation, so consider what you can cover effectively internally and then get external help where needed. A transaction advisory firm or investment bank can often cover a number of these areas or assist with obtaining the required skills. 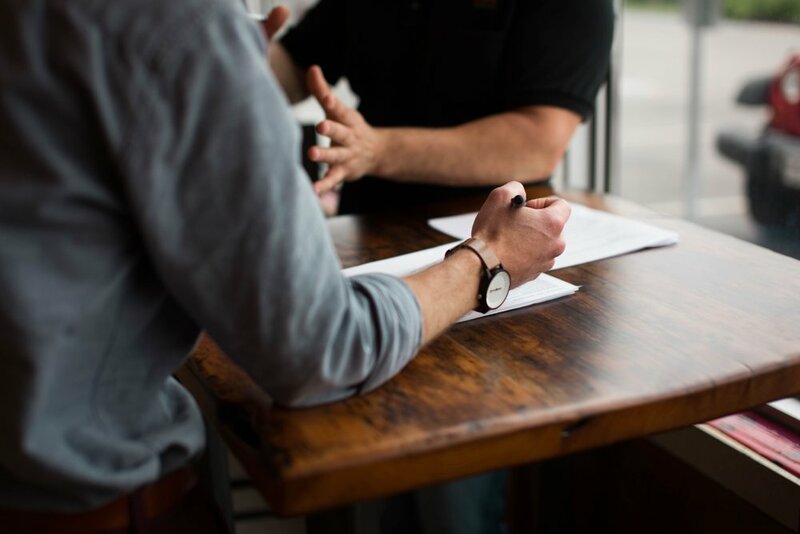 You may be approached by the sellers or their advisors regarding an acquisition of their company, and it could make sense to pursue the acquisition, as it aligns well with your strategy. If so, ignore this section. This section covers where you, as the acquirer, are making the first move and looking for acquisition targets. Individual business performance is often heavily impacted by jurisdiction and industry. Depending on your strategy, you may need to start by conducting country and industry research before even considering individual acquisition targets. I once worked on a project where we analysed data from the World Health Organization across a list of countries and then prioritised countries for entry based on various factors in our research. We eventually ended up concluding a transaction in the country which was highest on our priority ranking. This can be a tedious process, but start by casting your net fairly wide to develop a list of potential acquisition targets. A good place to start can be industry reports and the websites of regulators in regulated industries. Often a list of all registered industry participants is available on the regulator's website. Annual reports of the regulator often present financial and other metrics of the industry participants, providing a good source of comparable data for initial screening. Create a set of filters to start paring down your list of acquisition candidates. You want to quickly eliminate unsuitable candidates and then spend a bit more time researching the remaining suitable targets. The end result of this step should be a shortlist of potential acquisition targets ranked according to criteria you have set. If you have advisors, they may source suitable targets for you, making this step easier. If not, you'll need to contact the target to gauge their interest and set a process in motion where there is interest. Remember that the shareholders of a company are the sellers - not management (unless management are also the shareholders). Ideally engage with the shareholders where possible, as management can often be replaced or face substantial change under new ownership, and could kill a potential transaction which the shareholders would have pursued. The next step is to sign a Confidentiality / Non-Disclosure Agreement with interested potential sellers. This should typically be a two-way agreement where both parties agree to keep any information shared confidential. The sellers have a greater risk here, so they will often drive the drafting of the agreement. As a buyer, however, you also don't want your strategy and any other sensitive information shared by the sellers, so insist on having a two-way agreement. Exclusivity period – Where you as the buyer are given a period of exclusivity to investigate the business and potentially conclude a transaction. This is something you should push for. Ideally you want to be the only horse in the race to avoid wasting your time or being used as the 'stalking horse' for another potential acquirer. Non-solicitation provisions – This is where the seller effectively says, "Don’t ‘steal’ our employees or customers". Non-circumvention provisions – This is where the seller effectively says, "Don’t bypass us and go directly to any of our ‘partners’ to our detriment (suppliers, customer, intermediaries, service providers, etc)". The key focus of this step is to determine whether the transaction is likely to be concluded or not. The sooner this is established the better. A CEO I worked with on a few transactions would often say, "There is nothing worse than a slow 'no'!" Try to surface deal breaker issues as quickly as possible before too much time and effort is wasted. Register serious intent to proceed with the transaction. Are the sellers serious or just 'testing the waters'? Be direct and ask what the key issues / risks are. Risk or audit reports for the past 2 years. In step 1 I spoke about transaction strategy and the key reasons for pursuing the acquisition. Also ask for information to test all these elements as early as possible. Enable you to table some form of serious intent to pursue the acquisition (a step I'll cover below). ACQUIRING shares or the business and assets? Acquiring the shares - Where you buy shares or equity in the company from the existing shareholders. By acquiring the shares, you get everything which sits in the legal entity - skeletons, warts and all. If you missed something negative in the due diligence and aren't covered by warranties or indemnities, that issue or liability 'belongs' to you. All positive surprises also belong to you, but in my experience the surprises are mostly negative! Subscribing for shares - Where you inject cash or an asset into the company and are issued new shares as compensation for the injection. The same risk issues exist in subscribing for shares as those described above when acquiring shares. Acquiring the business and assets - Where you buy specific assets out of the legal entity of the target and potentially agree to assume certain liabilities. You also transfer specific staff members and contracts to another entity. In this instance, you know exactly what you are acquiring. Drawbacks can be tax implications and the risk and complexity of transferring assets or contracts (for example if there are no cession clauses in client contracts, individual clients will need to agree to the transfer, opening up the possibility of contract cancellation or renegotiation). Acquiring the business and assets typically leads to a more focused due diligence, but can create complexity in the post-merger integration process (e.g. a staggered transfer of contracts). Assess the relative merits of each acquisition method and then plan your processes accordingly. The terms in these documents don't necessarily reflect the final terms of the transaction, but do provide a good starting point for more serious negotiations. What is there? - Understand the company, its business model, inner workings, risks, opportunities, etc to guide pricing, deal structure and transaction terms. What can and should be done with it? Post-acquisition, what synergies can be extracted? How will the target be integrated (or not)? How will the combined entities be managed going forward? Members of the transaction execution or deal team may be involved to stay close to the action to get a good feel for the target. A due diligence checklist is a list of information you request from the target to enable the due diligence to be completed. The more focused the due diligence checklist is, the better. I'm a details person so would get my hands on every due diligence checklist I could and add in any questions or requests which weren't on my master list. The result was a checklist of 40 or more pages of questions! Over time I realised that 'less is more' when it comes to due diligence checklists. Some items are easy to change post-acquisition if they are amiss, so don't waste time on them. You likely won't catch everything, so focus on the core factors which underpin the transaction rationale, key risk factors and key integration items. Due diligences are highly disruptive for the target and should ideally be done as quickly and efficiently as possible. This is not your main concern, but being sensitive to this fact and managing the due diligence well can result in better due diligence outcomes. Ensure the due diligence team understands the rationale for the transaction and focus areas. Be sensitive to 'missing' information and request this. Ensure good information flow and management. Encourage the target to have a dedicated person or team to gather requested information. Have regular feedback sessions. I find that often the most useful information is gleaned from feedback discussions with the teams rather than their written due diligence reports. Request the teams to flag items which could be relevant to another team (e.g. the finance team should ask the legal team to confirm if the property reflected on the Balance Sheet has all title deeds in place; the HR team should ask the finance team to ensure that all the employee benefits they discovered are correctly recorded in the accounts; etc). If conducting a due diligence sounds daunting, then I'd suggest hiring professionals to manage the process for you. A transaction advisor should manage all aspects of the acquisition process for you, including due diligence. Once the due diligence is complete you should have all you need to negotiate and finalise the transaction agreements. The main agreement will be a Sale & Purchase Agreement (or Subscription Agreement if you go the subscription route) which will capture the purchase price, transaction structure, and terms. Depending on the nature of the acquisition there may also be other agreements (e.g. a Shareholders’ Agreement) which together will form the suite of transaction agreements. The negotiations will likely already have begun, but this is where they become more serious. Any document already tabled (e.g. a Term Sheet or Memorandum of Understanding) will likely have only dealt with high-level terms. The transaction agreements deal with the detail. Items that were not issues initially typically surface at this stage and need to be negotiated. During the due diligence the valuation of the target should have been refined and you should have a pricing range which you feel comfortable transacting in. The team should also have quantified both positive and negative synergies from the acquisition. If there are net positive synergies you can look to increase the purchase price slightly if you're under pressure. I advise acquirers to not pay away the value of synergies as this is value that they create through the acquisition. However, sometimes in a competitive process it is necessary to dip into the synergy value to table a winning price. Transactions often fall apart over pricing. As such, try to get pricing expectations on the table early. Indicative pricing should be captured in your document which registered serious intent (e.g. a Non-Binding Offer letter). If the parties are too far apart on pricing at this stage, then pricing adjustment structures could be used to bridge the gap. I'll cover these in the section below. The purchase price doesn't always need to be settled with cash. It could also be settled with shares, a loan, another asset or a combination of these options and cash. I discussed the difference between acquiring shares, subscription for shares and acquiring the business and assets of a company in step 5. These are the basic forms of transaction structure and can be combined where it makes sense to do so. I once worked on a transaction which was part share acquisition, part share subscription and included an earn-out (see below for details regarding earn-outs). Earn-outs – Where a portion of the purchase price is paid upfront and the remainder is only paid in future based on the achievement of predetermined targets. For example, assume the agreed full purchase price is $100m, and $75m is paid in cash upfront. The remaining $25m is then only paid in two years’ time based on the achievement of a performance targets at the end of the earn-out period. Clawbacks – Clawbacks are the opposite of earn-outs, where the full purchase price is paid upfront, and then the purchaser is reimbursed an agreed portion if certain targets are not met. For example, $100m is paid upfront and then $25m is reimbursed at the end of the clawback period if the targets are missed. I’ll focus on Sale & Purchase Agreement terms in this section. For the acquirer, ‘less is more’ does NOT apply when it comes to Sale & Purchase Agreement terms. More is more! You want an iron clad agreement with as many protections as possible, maximum control prior to closing and the ability to still walk away at a late stage. The seller will want the opposite, so you’ll need to negotiate the Sale & Purchase Agreement terms to a level you’re happy with. The period between when the Sale & Purchase Agreement is signed and when the transaction can be implemented is typically called the ‘interim period’. Most signed Sale & Purchase Agreement have conditions which need to be fulfilled before the transaction can be ‘closed’, giving rise to an interim period. At this stage you have agreed to the terms of the transaction but don’t own or control the business yet. The last thing you want is for the existing management to pay themselves big bonuses, or declare dividends, or sell or encumber key assets, or enter into new ventures just before you’re given the keys to the business. Interim period undertakings are a set of provisions which govern what can and can’t be done during the interim period. These provisions are effectively a declaration by the seller stating various facts about the business. If these facts prove to be untrue then the purchaser has a claim against the seller for any losses incurred as a result. For example, Representation: ‘The business is not currently involved in any litigation’. If it emerges that there is litigation underway and it results in a negative judgement against the business, the seller will then indemnify the purchaser against any losses incurred. As mentioned above, the interim period exists due to conditions which need to be fulfilled after signature before the transaction can close. These are typically called ‘suspensive conditions’ or ‘conditions precedent’. These conditions can include regulatory or third-party approvals, board approvals, accounts being finalised, various other agreements being put in place, etc. For you, the purchaser, this is your last opportunity to walk away, so ensure that anything which needs to be in place before you take ownership is included as one of these conditions. ...even at a very late stage in the process. Even if you have invested a lot of time and incurred significant transaction costs (e.g. professional fees) rather walk away than follow through with a poor transaction. A bad transaction will probably cost you more in the long run and could even destroy your business. A lot of people have a propensity to keep going if there has already been a significant investment of time, effort and resources in the transaction. A negotiation course I once attended even gave this as a negotiation tactic: be demanding because people feel committed to the process from their investment of time, effort and resources and often follow through instead of walking away. Rather walk away! To enable this, draft your transaction agreements with as many subtle walk away options as possible. I’d advise hiring a good M&A lawyer to assist you through this process for larger transactions. Not all good lawyers are good M&A lawyers, so you may need to look beyond your usual legal counsel. I discussed interim period above. Ideally you step in and have a hand in managing the business during the interim period; however, there may be restrictions in your jurisdiction on pre-approval implementation if the transaction is subject to regulatory approval. Regulators can get peeved if you’re seen to be implementing prior to their approval. As such, understand where the line is and do everything you can which doesn’t cross the line. I touch on post-merger-integration (“PMI”) in the last section below. Your PMI team should be working hard during this period to get prepared for Day 1 of ownership, and rolling out of their PMI plan. It’s good practice to keep a checklist of conditions that need to be fulfilled in the interim period and ensure that the pressure is kept on to get them fulfilled as soon as possible. Once all the conditions are fulfilled it’s time to close the transaction. All approvals are now in place and all conditions are now fulfilled. All that is outstanding is for you to make payment and for the seller to transfer the business to you. The transfer requirements and paperwork will depend on the nature of the transaction (e.g. share sale, subscription or business and assets sale) and the jurisdiction you operate in. For a share sale, for example, the transfer will typically be effected by the seller signing a share transfer form and issuing a new share certificate to you the purchaser, showing title of the acquired shares. Other documents such as board resolutions, director resignations, confirmation that there are no claims against the company, etc could also accompany the documents of title. If you’re going to have media coverage of the deal this is the best time to do it, as the transaction is finally done! Many well negotiated and executed transactions fail to deliver the anticipated value due to poor post-merger integration. PMI planning should have already been completed by this stage and now steps into execution mode. PMI is effectively a large project with multiple streams, which manages the process of bringing the acquired business into your business, and typically covers the areas of people, processes, systems and even legal structures. In a recent post I wrote on the steps involved in selling a business, I had a step after Closing… Celebrate! For you the purchaser, a mini celebration may be in order, but typically much hard work lies ahead in integrating your new purchase into your business. The best time for you to celebrate in a big way is when the integration is successfully completed! Congratulations on making it to the end of this lengthy post. I trust this gives you a good idea of all that is typically involved in the process of acquiring a business. Proceed with caution, have your eyes wide open, manage both the acquisition and integration phases well and deliver the value you planned from the acquisition.